One year ago, we did something pretty dang incredible. Over the course of a few months, we coordinated a massive march and rally to highlight that fracking is not only insane and dangerous, but that our water, our climate, and our communities in California are in danger from fossil fuel extraction and suffering as a result. Over 8,000 people converged in Oakland for the largest-ever mobilization against fracking in U.S. history. I spent the weekend reflecting on this action, the lawsuits, marches, hearings, rallies and press — and taking stock of our progress to move the Governor of California to take a stand against oil/gas and to ban fracking. We’ve built a strong movement and made some important progress, but we still haven’t reached our ultimate goal. I’m still scratching my head to figure this out, but part of me believes that we have an overwhelming problem and that maybe people still don’t know how bad it really is. The Governor of California, Jerry Brown, loves to talk a big game about climate change. We applaud him for that. Unfortunately, his half measures are in fact the most any Governor has done on climate in the U.S. But just because we’re getting something, doesn’t mean we shouldn’t hold him accountable for his poor decisions on fracking, urban drilling, and regulatory oversight. The reality is, we’re not in a good situation in California. I’ve been told I’m not fun at parties anymore and that the quickness that I can drop the mood from happy to “WHY ARE YOU TELLING US THIS,” is roughly 5 seconds. I’ll attempt to do that here to give you a sense of where things are and why I’m more motivated than ever to double down on the campaign to ban fracking California. Oil Wastewater on Crops: We are irrigating our crops with benzene and arsenic laden wastewater left over from oil extraction. Wait what!? Yep, you heard me. California feeds the nation and right now we are feeding them poison. Here are some articles on it: NY Times, CCTV. Spoiler alert: those easy-to-peel mandarins you love to eat? Many aren’t grown using freshwater, but rather wastewater from the industry. And they’re not the only foods getting the oil wastewater treatment…read more here. No Area is Off Limits: A father in Kern County has sued Governor Brown for putting his daughters in harm’s way by allowing fracking at their public schools (more details of the case can be found here). The short version is that the Governor and head of the Division of Oil, Gas & Geothermal Resources (DOGGR) are using Latino children as the test subjects for fracking and other drilling technologies. Students go to school next to fracking wells. They live next to fracking wells. 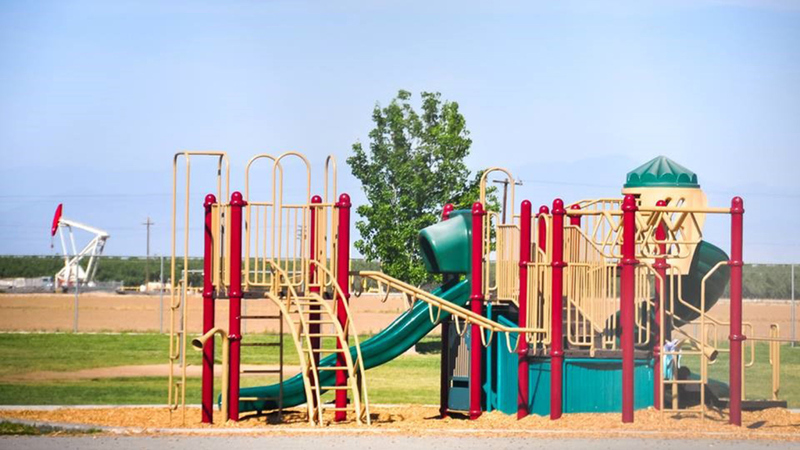 Communities with some of the worst air quality in the country are playing on playgrounds right next to oil wells. And there is no legal limit on how close industry can drill from where people live, work, and play. Kern county is home to about 99% of fracking in the state and is also the fruit basket for the rest of the country supplying a quarter of the nation’s foods and ⅓ of all agricultural land in the US. Two Words: Porter Ranch: Two words our Governor couldn’t bring himself to say in his State of the State address this year. The leak at the Aliso Canyon natural gas storage facility in Porter Ranch is the worst gas leak in history. Many have said that the Porter Ranch disaster is worse than the BP oil spill. Yet our Governor took months to declare a state of emergency and didn’t say a peep about it during his biggest speech of the year. The “accident” at Porter Ranch is another example of poor regulation and lack of enforcement of current regulations. It’s also, yet again, another reminder that fossil fuels are dangerous, dirty, and cause climate change. Porter Ranch won’t just impact the communities who live in the gated communities closest to the leak. The reality is that the impacts will be felt by everyone near the leaking gas site and eventually, everyone is California and possibly even the world. We Have No Water: We are in the worst drought in recorded history. Yes, I wish I had an umbrella last week. I know, it’s been raining, but that rainfall pales in comparison to the water we need in the state. Don’t believe me? Watch the film above. Why do you think agriculture companies are using fracking wastewater on crops? Counties in California are OUT OF WATER. They rely on bottled water because their wells have run dry. We are running out of options and we need strong leadership. Fracking threatens to contaminate the little freshwater we have left. Big Oil is Polluting Politics: Yes, we’re taking some strong actions on climate change. Did you see SB350? That was awesome! We got two important measures passed in that package (50% increase in energy efficiency in buildings, and 50% of state utilities’ power coming from renewable energy, all by 2030). Yes, but we lost another important piece of that bill, which would have decreased our use of petroleum in cars and trucks by half. Why did this portion get cut out? Big Oil flexed its muscles and lobbied our state senators to remove this portion of the bill. Even Governor Brown was frustrated that the bill was gutted, but not angry enough to take action by executive order. The reality is that most people don’t know the impacts of oil extraction making it easy for Big Oil to buy politicians and weaken any efforts to reign in their practices. Oil Production is Increasing: Since Governor Brown took office, the amount of oil extracted in California has increased. Beginning in the 1980’s, oil extraction was in steady decline. When did it start going back up? 2011– the same year Governor Brown was re elected. Why is this important? In my book and many others, you cannot claim to be a leader on climate change while allowing more drilling and fracking for the very thing that causes climate change. Environmental Racism: Let’s be honest here. Who is being most impacted by California’s fracking agenda? Kern County is home to 99% of fracking and extreme well stimulation. Who lives there? What neighborhoods experience urban drilling in LA? What counties have the worst air quality in the country? Even the state government has researched this — and the answer is low-income communities of color. Students attending school within 1 mile of oil and gas wells are predominantly non-white (79.6%), and 60.3% are Hispanic. The top 11 school districts with the highest well counts are located in the San Joaquin Valley with 10 districts in Kern County. (Source: FracTracker). While disasters like Porter Ranch make headlines, spills, leaks, and poisonous flares happen daily in communities unseen by the national media. Sheesh! We’ve got our work cut out for us, but here’s the good news. We have a movement. We are huge, we are powerful, and we do beautiful things. Communities are rising up, pushing back, and creating their own solutions. But we need to keep flexing that muscle. We need to yell from the rooftops that we don’t want grapes covered in arsenic, and we want all children in California to have the same access to clean water, clean air, and safe schools. So here’s my solution: Fight. Here is an opportunity to flex that muscle: Break Free. Across the world, communities will be rising up against fossil fuel extraction. Like us, they’ll be calling out the hypocrisy of “climate champions” who still extract, and elected officials who promise to protect us while poisoning our communities. Join us this Spring. 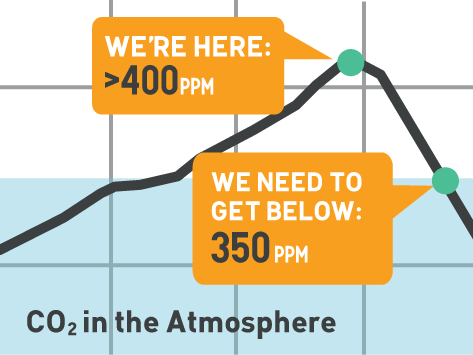 For more information about the actions – sign up on the Break Free website to stay in the loop.